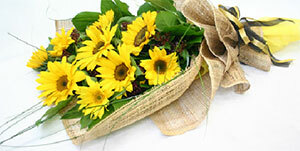 Wellington Florist - Ammi Floral Design. Johnsonville premier Florist. Open 6 days and conveniently located in the prestigious Tawa, 6 Duncan Street. If you require the extraordinary we have it! Our international experienced staff take pride in assisting you to create something truly beautiful and completely original . . . trust us today and be happy tomorrow. If you have any queries at all, please don’t hesitate to call us for advice or help. Even better come and visit the Studio.